I'm not a primer fan. I actually don't use one. The first time I got the Benefit Porefessional deluxe sample around a year ago, I finished all of it then didn't got myself another tube. Yes, it's effective and I like it but am not getting another one with that price tag. But when I received another kind of primer from Althea's Beauty Box, I'm having second thoughts now if I'll add primer in my routine. Primer is something you put on your face before makeup to make the latter last longer. And I finally saw it happened when I tried my new discovery from Etude House. I like it because it specifically targets my pore problem. The tube is simple as it is. The label can be seen in front and there's a word 'primer' into it so it's easy to distinguish how to use it and what it is for. The back of the product doesn't have any English translation but the box has. It smells like baby powder. The scent doesn't linger and it doesn't get contact with the air so to appreciate the scent. you must put your nose close to it. I like the scent, it's clean and mild for me. 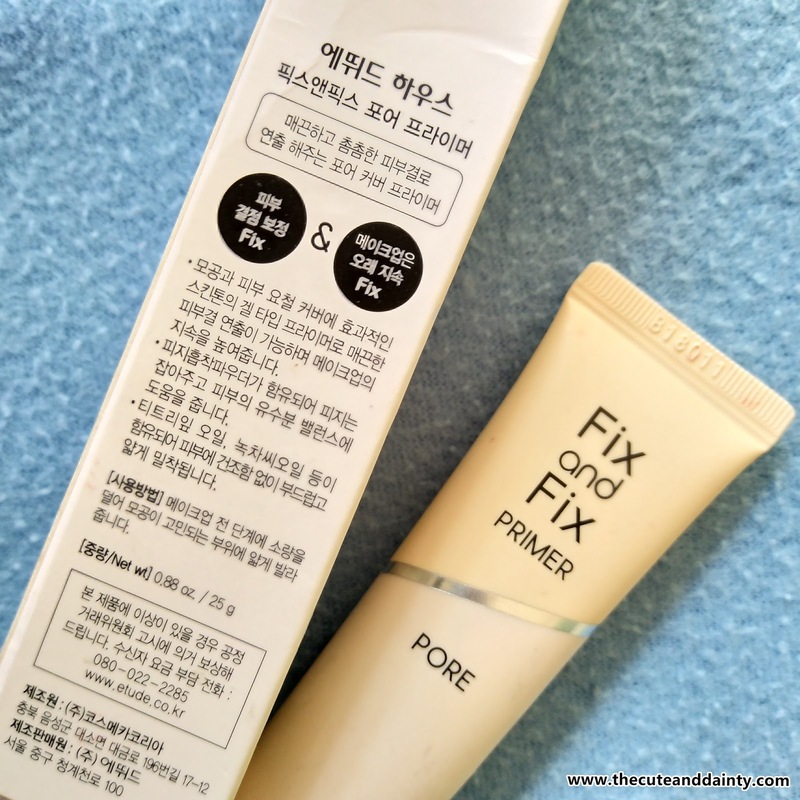 No individual price posted because this is inside a Beauty Box but I saw another kind of this in Althea which is Etude House Fix and Fix Tone-Up Primer which is only P510 from P798. It's almost half the price of the coveted Benefit Porefessional. For me, it's exactly the same texture like the Benefit Porefessional. It is powdery matte. Very lightweight like you won't feel you put something on your face. There's also a smooth finish after applying it on the face. As I mentioned, it has a soft, powder finish when contact with the skin. I also noticed that there's effect on making the pores on my face smaller. It's what I really like about the product. It also helps in making my makeup last longer. Notice that the pores are visible in my hand. 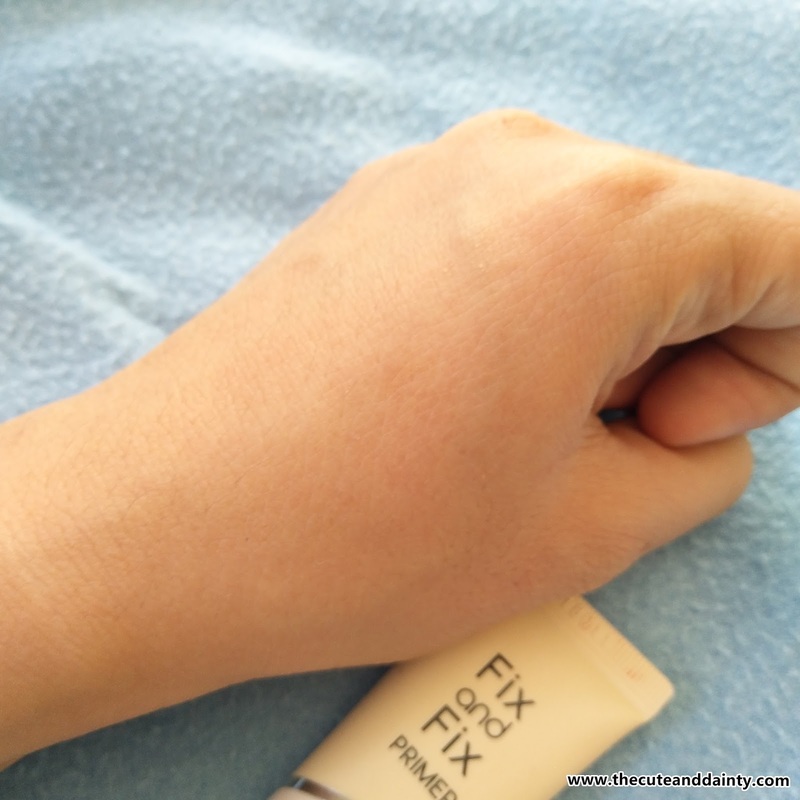 Compare the look (and feel) of my hand after applying the product. 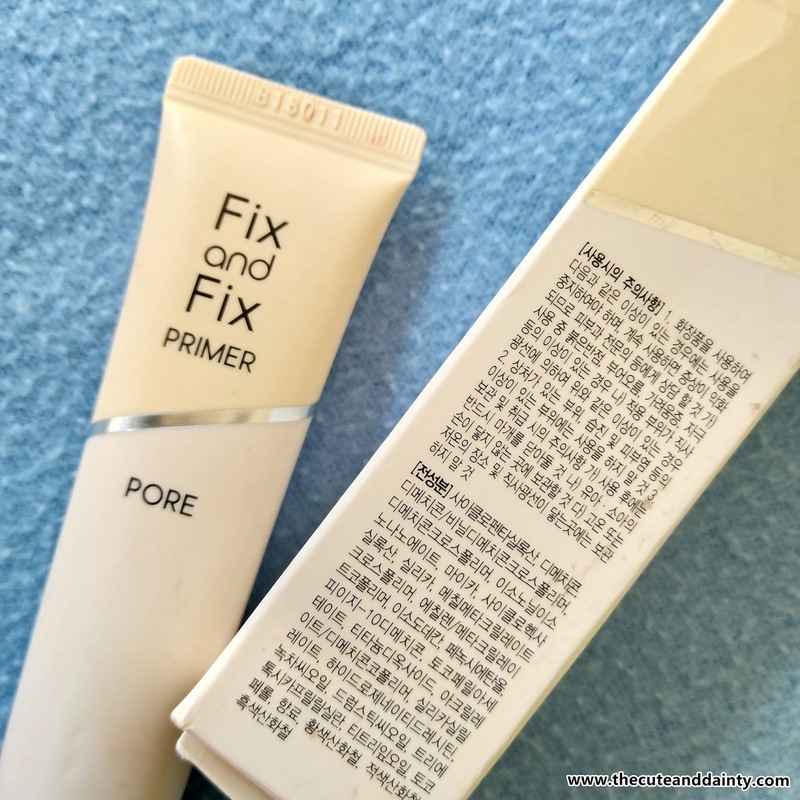 The open and visible pores just automatically closed with this primer. I like the after effect. No wonder why most makeup enthusiasts add primer on their routine even after load of skin care. I think I will consider this now. 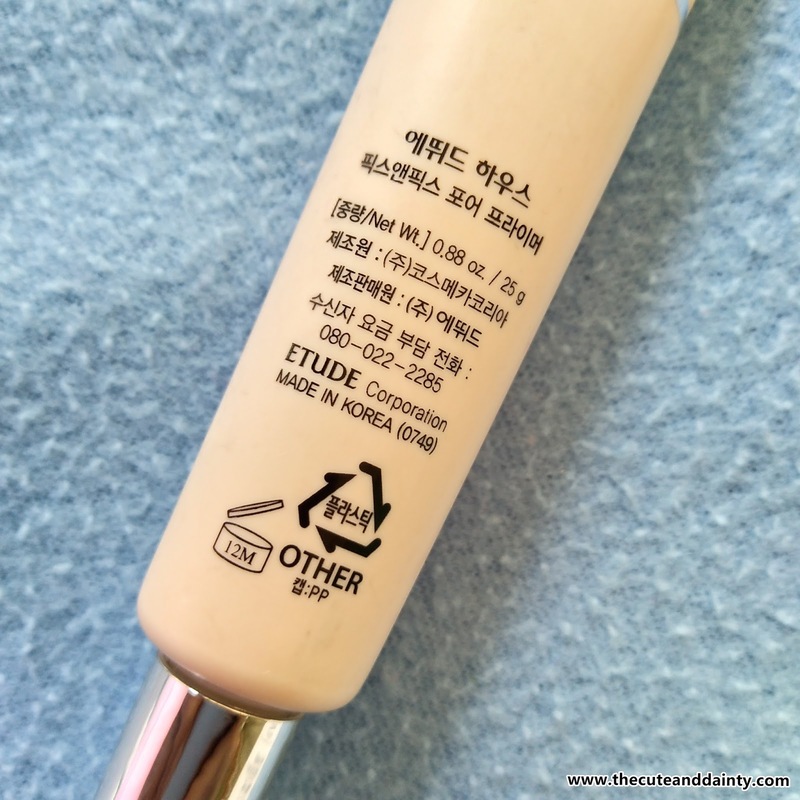 Will also try the tone-up version from Etude and see if it works equally great like this one as well. Indeed the skin glows with health in the picture. Looks like a good product. Best result is that it makes your makeup last longer. I will check out this in the shelves here. I love it an dI am using it everyday. I really think it makes makeup lasts longer. I've been looking for a primer that suits me. 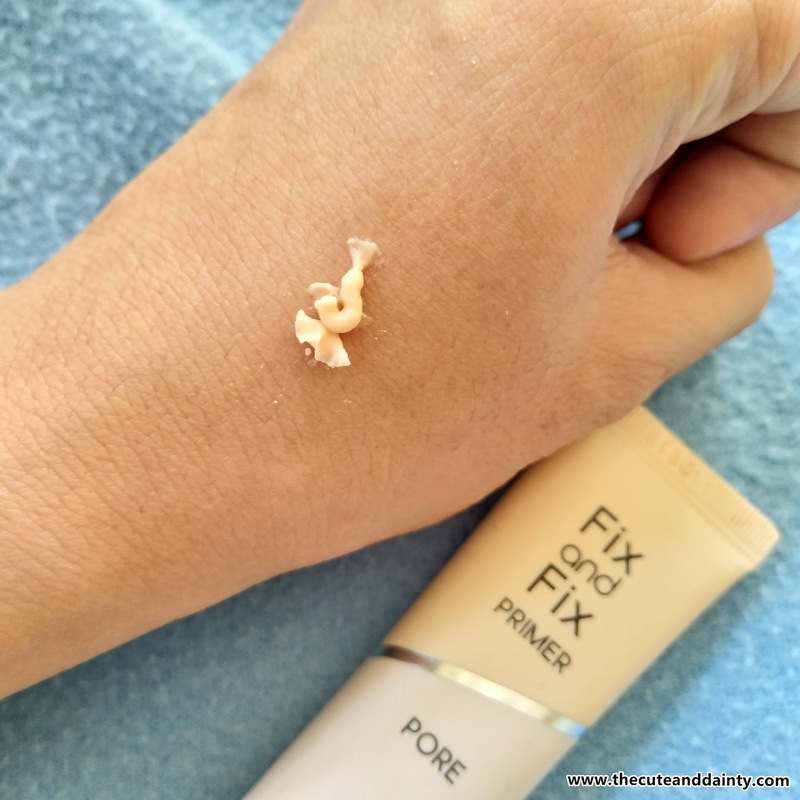 Actually, prior to this year, I didn't believe in primers until my friend made me try--- it does work. I will probably go and try this --- at least less need for retouch and all that. Yes. Plus it also makes the pores look smaller and almost nothing at all. Wow, I'm not really familiar with products like this one, but I personally find it interesting that product like this has really something to do with how you look like when you try it. I didn't know that make-up artist usually have this primer. I love how you have showed us the sample and how it looks like after applying it on your skin. I will surely let my friend check this one. Thank you so much for sharing this with us. 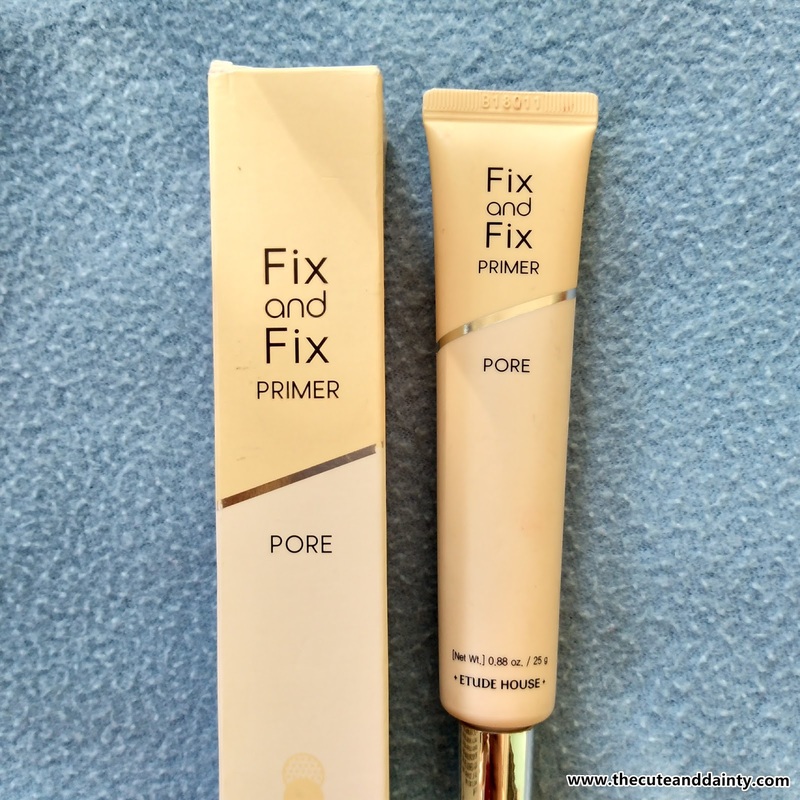 Seems this primer works on your skin.I am not a heavy makeup user.But,I like such basic products for my routine.Thanks for this detailed review.It is helpful! I was able to try this but unfortunately, it did not work out well. I started having breakouts after using it and have no idea why since I am okay with other Etude products. I stopped using primer since then. Oh.. That's sad. Wile this works on me, it might really not work on others. 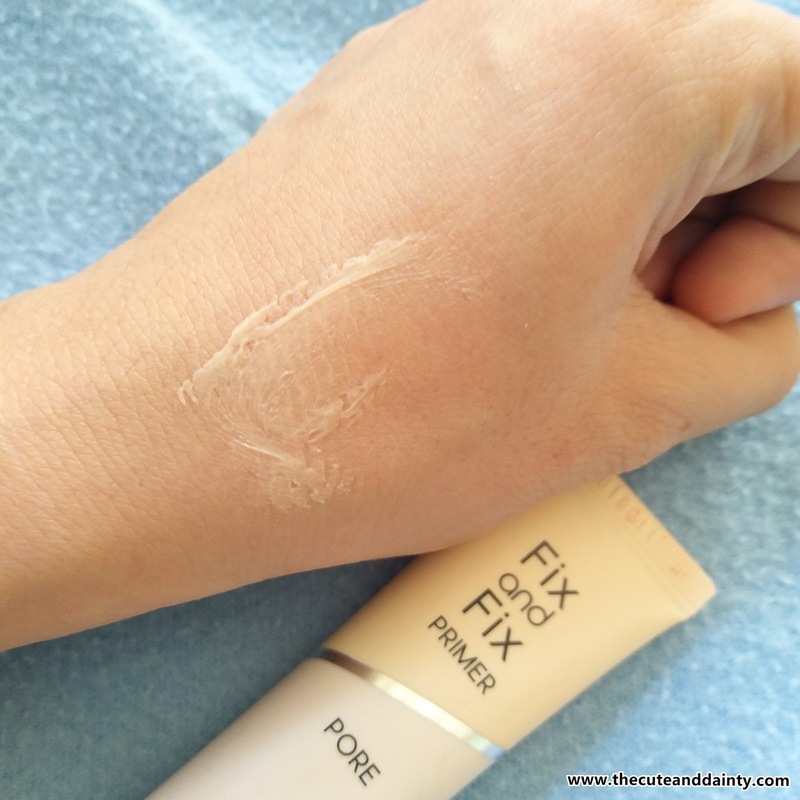 IS it really the primer or have you tried anything new on your skin? Or perhaps, it didn't go with the other products' ingredient that you are using. There are so many factors on a new breakout. I hope your skin is back in shape now. I an not a make up pro nor an enthusiast. But i love reading make up reviews. i also like the idea of how they simply make one stunning with such application. Etude is one of the brands i have come to appreciate. my skin could be real sensitive and with Etude, I dont get breakouts. This is another post to educate enthusiasts and make-up professionals again. I am amused by beauty blogs and reviews actually. It amuses me to see how make-up can make someone look somebody else. 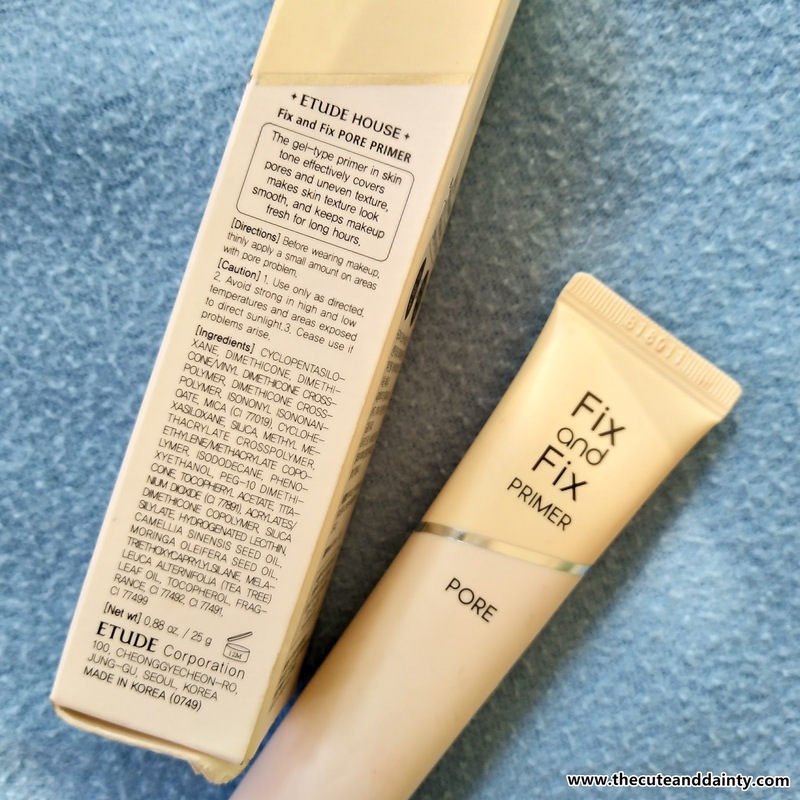 But anyway, this review enlightened me about primer. And Etude is one brand that I would love to try someday. I'm afraid to just but because I have a sensitive skin. So I stick to hypoallergenic stuff. It always depends on who are open to try new products. I shy away from beauty products before, however since I started receiving different products too, I started using them and appreciated it one by one. Until such time that I started getting my own hauls. 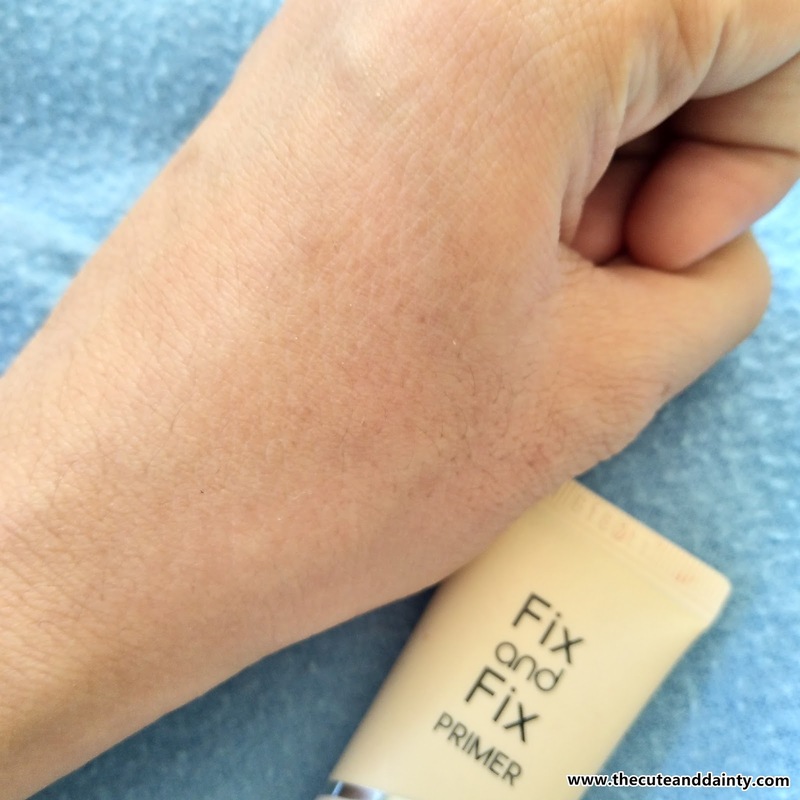 Primer is an essential tool to have that perfect finish! I actually cannot live without a primer on my regular skin care routine and make up! This one looks promising though. Etude House products is one of my favorites. However i was able to discover a new foundation recently which includes a base, a primer and a finishing foundation and powder, all in one and it saves me time and effort in doing my make up when im on the go! Still, primer is a different fix! Really mommy? What foundie was that? Care to share? You have shown the results of applying this product on your skin very well. I am not sure whether thus product is for me as well but all the ladies who use other primers will find this product very beneficial. 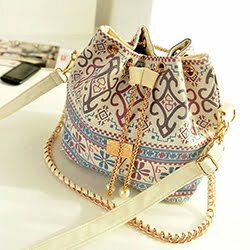 Is this product only available in East Asia like Korea and Philippines? I don't think so. Wherever Althea is available, you can order this. Where to Get the Right Car?